As Lucy Rose approaches her fourth decade she is releasing her fourth, and arguably best, full-length album: 'No Words Left'. 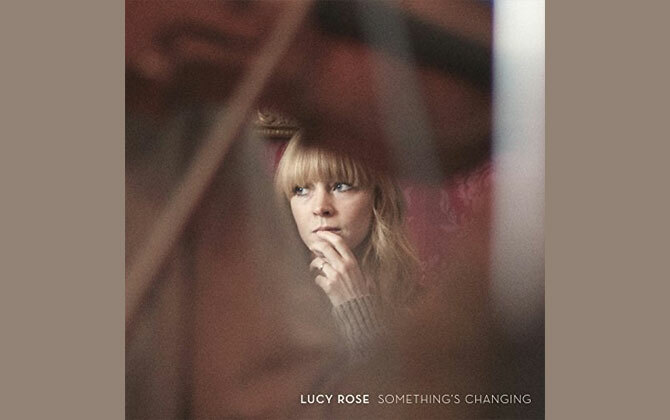 Following up 2017's 'Something's Changing', Lucy Rose Parton has indeed altered tack with her latest release. Her trademark characteristics are still littered throughout the album, and her vocal is as good as ever, but with 'No Words Left' she's mined a darker seam of thought to help shape her songs. It's something of a rock 'n' roll cliché that the more traumatic the experiences of the protagonist - the more uncomfortable, the harder the fall, the bigger the break-up etc. - the better the resultant material produced. 'No Words Left' is no exception to that rule. Before you read that Rose is coming out of the back of a year she says was "one of the hardest times of [her] life", you can actually hear it in the music. There is still an underlying tenderness to Rose's work but her newest songs are no longer tender and sweet, they're tenderness imparted through agonising loss, longing or crushing disappointment. The title of Rose's latest eleven-track album is something of a paradox as Rose is at her most expressive and eloquent on 'No Words Left'. From the opening track of 'Confines Of This World' through to the close-out track 'What Does It Take', Rose lays herself bare. There is a rawness and an edge here that's rarely manifested itself in this form on previous work and it's a very welcome departure. Whilst expressing herself candidly, Rose captures quite brilliantly the anguish and contradictory nature of working through strained relationships. On 'Just A Moment', there is a audible resignation in the slow melancholy that's imparted through the soft guitar. Here on this instrumental, there are no words, and no need for words; the tune and the arrangement say it, and convey it, all brilliantly. The title track(s), Pt. 1 & Pt. 2 are similarly evocative as Rose chooses to at first convey her mood through a layered and harmonious high vocal and then strips it all back for a piano-backed ballad where she focuses more positively on reframing her life so that she may "feel whole again". Rose's latest single 'Treat Me Like A Woman' is more direct and unflinching in its approach with Lucy questioning her own part in the dynamics of her teetering relationship: "And you treat me like a fool, or do you treat me like a woman? Make me feel so small. Is that what I'm good for? I'm afraid, and I'm scared, and I'm terrified that these things won't ever change." The backing vocals, sumptuous strings and intermittent percussive touches all add to the atmospherics of the piece. 'Nobody Comes Round Here' and 'Solo(w)' are two more tracks that are similarly effecting. Rose's vocal on both songs is as soft and soulful as it can be as she imparts the pain of a break-up. 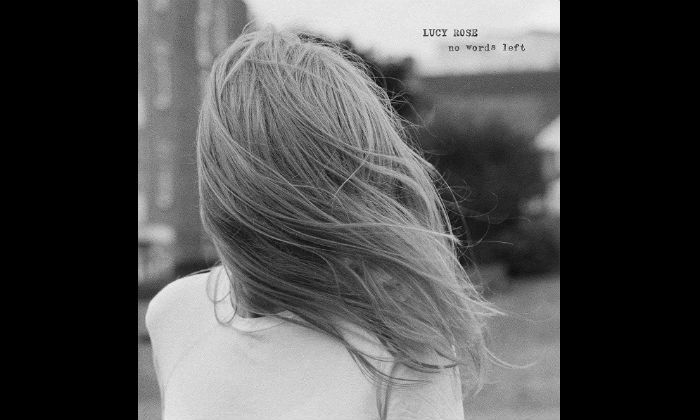 'No Words Left' is the best work that Lucy Rose has ever written and performed. This is clearly evident throughout the album but nowhere more obviously than on the album's lead single 'Conversation'. This song is quite breathtaking. The vocal, vocal mix, production and arrangement are flawless. When Rose sings "No one let's me down like you do", you know she means it and you know that it's caused her a great deal of anguish. From the opening underlying strings, through every pluck of the guitar strings and especially in the gentle lament of her vocal, Rose has laid down a track that marks a career defining moment. In 'No Words Left', Lucy Rose has not only produced some of her best work to date but she has also put down a marker, relatively early in the year, for a definite contender for album of the year.